We hope that you never find yourself where we are. “Where’s that?” you ask. Death row, that’s where, doing the hardest time there is! Although things don’t look good for us, there’s still hope for you. We would like for you to compare your life with the one we lead. Then you can make up your mind as to which you would prefer. For us an average day is something like this. Say it’s visiting day…. You get up at 8 a.m. to eat breakfast. You’re allowed out of your cell to eat and then when you’re finished, you’re locked right [back] up. You sit in your cell and stare at the walls until 11 a.m., when your visitors finally arrive. You’re escorted with handcuffs and a restraining belt to the visiting room, where the restraints are removed and you finally get to see your visitors. A bulletproof plate glass separates you from your visitors, and you must talk to them over a phone system. You’re never allowed to touch your visitors. You talk to your family and friends until your hour is up, and then you watch as they leave. There’s no way to describe the pain and longing you feel as your visitors leave. You know they have something to return to, while all you have is an 8-by-10-foot cell. You hope your family can make it back soon. But you may be one of the unfortunate ones who are so far from home that visits are only once or twice a year. So your visit is over and the restraints are placed back on and you’re escorted back to your cell-house area. It’s noon, so it’s time for lunch. Once again everyone is allowed out of the cells to eat. After lunch you once again return to your cell.… It doesn’t take you long to realize that there isn’t much to do in an 8-by-10-foot cell when the hours keep dragging by. At 1 p.m. legal mail is passed out. You wait for your name to be called, wait to hear if your appeal has been granted so you can finally leave death row. For you there’s no word today, but the guy in the cell next to you wasn’t so lucky. He received a letter from his attorney saying his appeal had been turned down, bringing him one step closer to the electric chair. You know how he feels — you’ve lost appeals of your own. You know exactly what it’s like to wait to die, with each day you mark off your calendar bringing you one day closer to your execution date. Death row is the only part of the prison system where you don’t want time to go by fast. It’s 4 p.m. Good, it’s time for supper. Once again you are allowed out of your cell to eat, and once again you are locked back up when you are finished. In your cell you idly sit with not much to do. Maybe you think or play a game of solitaire. Or you might sit in front of your cell door and yell to the guy in the next cell. Finally the mail is passed out at about 6 p.m., but for some reason you don’t get any. It’s funny, when you first got here you used to get a couple of letters a day, but here lately your letters have been few and far between. You wonder why no one writes. Now it’s 7 p.m. The time you’ve been waiting for finally arrives. This is the highlight of your day. You’re allowed out of your cell for a few hours with the other inmates in the small cell-house area. There you can watch television, play cards or talk, all under the watchful eyes of the guards. And you must constantly watch over your shoulder, always fearing to allow someone behind you, always fearing what might happen if you do. You wish it were phone call night when you could make one of your two monthly calls. You count down the days until your next chance to spend five minutes talking to your wife, girlfriend, parents or friends. And the moment you’ve been dreading arrives. It’s 11 p.m., time to return to your cell. Back in your cell, you can choose between going to sleep or staring at the walls. You glance at your calendar for the thousandth time that day and see a date circled on it — a day that’ll be coming up a couple of months from now. Unless something happens between now and then, on that day you’re supposed to die! These are just a few of the differences between our lives and yours. What it amounts to is that the prison guards control our lives entirely. All our future holds is an execution date. Is this the kind of life you would like to lead? If it isn’t, then you don’t have to. Crimes are committed by people of their own free will — no one is going to force you to commit them. But knowing the things you’ve just read about prison, is it the kind of place you would like to spend the rest of your life? If not, then no one will force you. If you commit a crime, it’ll be because you choose to. We just want you to know what your options are so you can choose wisely between freedom or prison. And did you know that you don’t have to commit a crime to end up in prison? Are you considered “bad”? Do you think of yourself as “tough” and have a reputation you are always trying to live up to? If so, then you are the type of person the police will look for when a crime is committed. Is your “tough” reputation worth going to prison over? The judicial system isn’t infallible, and your reputation can make it a lot easier for a mistake to be made. All it takes is being in the wrong place at the wrong time and you could end up right in here with us. Maybe you should take a good look at your life-style to see if it needs changing. You may not be the kind of person who would ever commit a crime, but do you drink or do drugs? Some people’s personalities completely change when under the influence of either of these…. There’s really no telling exactly what you would do while under the influence of alcohol or drugs. More than one person owes the fact that they’re on death row to these things. Sure, you may get a brief high, but you may pay for it with your life, or the life of another. You might ask, “These guys are on death row, how can they handle that?” I’ll tell you how — Jesus Christ gives us the strength and comfort we need to make it each day. There’s no doubt in our minds that since he can help us with the problems we have, then no problem you have can be too great for him to handle. So now it’s up to you — the choice is yours. We’ve tried to give you some idea of what prison life is like, and some of the alternatives to it. But we can’t force you to lead a law-abiding life. No one is going to force you to stick up that store or break into this house or rob so-and-so. If you do that, it’s because you, and only you, decide to do so. And if you end up on death row, with nothing to look forward to except an execution date, at least you’ll know what to expect. 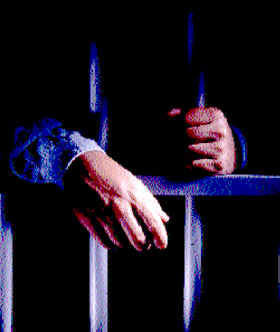 It’s our sincere wish never to see any of you here on death row, or in any other part of the prison system. If you ever come to a time where you must make a decision such as we have discussed, then we hope it will be not to do anything that would endanger your freedom. You can take our word for it — you don’t know how precious your freedom is until you’ve lost it. Remember: There’s always room for one more on death row, so the choice is yours! This letter was written by three inmates awaiting the electric chair in the United States. All three of them have since been executed.